Fantoche is one of the world's most reputed festival for animation and it's an annual occasion held at Baden, Switzerland. The festival kicks off on September 6th and goes on till September 11th. In the 14th International Animation Festival, Claude Barras's debut feature film, 'My Life as a Courgette' will be premiering with all crew members. This movie has been selected as the favourite movie of the audience and has been submitted for nominations in Best Foreign Language Film. Another animation movie to watch out for is the premiere of Kubo and the Two Strings by Laika Productions. Apart from these, there are 14 other movies which will be premiered during the festival. About the movie, Courgette is the nickname for a 9 year old orphan boy. Following his mother's sudden demise, he is befriended by a local police officer, Raymond, who in turn takes the little boy to a new foster home, where he can find many little kids of his age. In that foster home, he learns to love, trust and also build self confidence. Eventually he finds a happy family to live with, but the movie is full of emotions and speaks about his journey. This is a stop motion animation movie directed by Claude Barras and it stars Gaspard Schlatter(Courgette), Sixtine Murat, Paulin Jaccoud and many more. Special effects team is Blue Spirit Animation and its production companies are Rita Productions, Blue Spirit Animation, Gebeka Films and KNM and it's co-produced by France 3 Cinema, Helium Films and many more. During the festival, director Claude Barras will be talking about his super successful debut film. He will be accompanied by Elie Chappuis (animation) and Gregory Beaussart, people in-charge of puppet production. 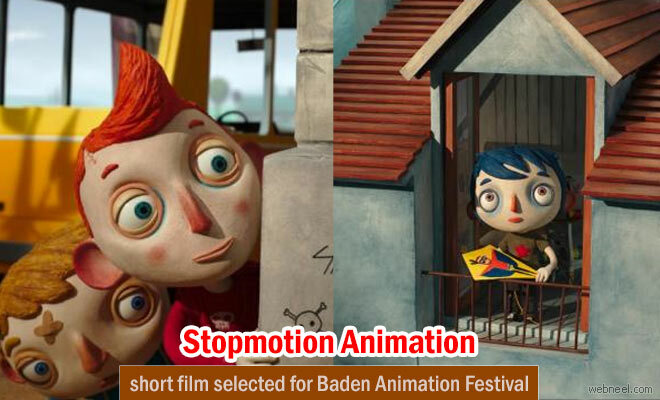 The celebrations during the animation festival will offer a different kind of experience in terms of technical and conceptual themes of the film. My Life as a Courgette is a book adaptation of Gilles Paris Book. According to Claude Barras, “This adaptation into animation is an homage to neglected and mistreated children who do the best they can to survive and live with their wounds". This movie was a grand prize winner in 2016 Annecy Festival.